The SolarRo system produces on average 8 000 litres of drinking water per day from the Kasaini borehole, which is expected to serve the local community for at least the next 10 years. 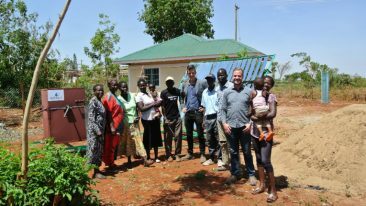 Finnish company Solar Water Solutions and humanitarian aid organisation World Vision have launched a new solar-powered solution in Tseikuru, Kitui County, Kenya, that provides the local community with clean drinking water. The fully solar-powered water purification unit provides some 710 people, including 410 children, with safe drinking water from a saline borehole. 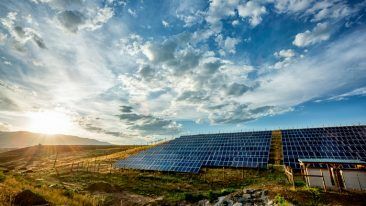 The solution is based on an innovative solar-powered reverse osmosis system that can produce pure water without any chemicals or emissions from seawater, lakes, rivers and saline water. A hot and dry climate with unreliable rainfall makes water a scarce resource in the Kitui County, especially in Tseikuru, which has meant that the local community has had to fetch water over long distances. With the installed SolarRO unit, the community now has access to clean drinking water from a drilled well at a rate of 1 000 litres per hour and, on average, 8 000 litres per day. 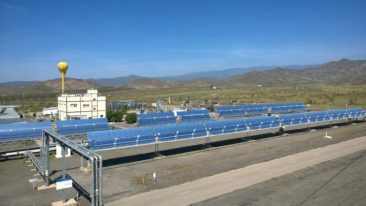 The system can also be easily switched to an electrical grid or generator during non-solar hours. The project also includes close collaboration with the county government and Epicenter Africa, a Kenyan solutions provider for water and renewable energy projects, to ensure that the water project is sustained. Explore how a cleantech company from Espoo, Finland, set out to tackle the world’s clean water scarcity problem in our feature article.